One of my all time star idols, Bruce Campbell, made a movie with some of his friends near his current home town in Oregon. He is now touring the movie around the nation. It shows up in Seattle 12/12 and I MUST get tickets and go to it. 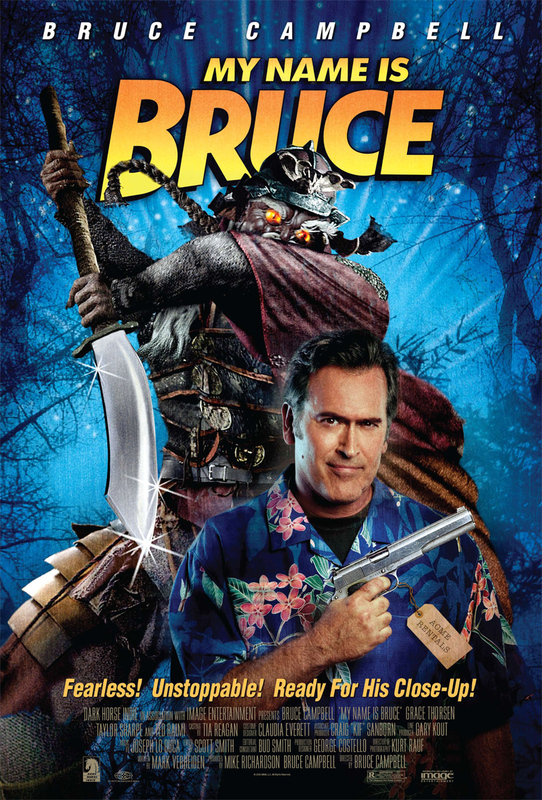 Bruce Campbell directed and stars in "My Name Is BRUCE". I am crazy excited to see this; I cannot wait for it get here!! The big bonus to tour style that Bruce is using to show the movie is that he is speaking before and after the movie. I’ve had a few chances to see Bruce speak at book signings and every time I’ve seen him speak he is more brilliant then the last time. I am totally looking forward to this!!! Hedonists » Blog Archive » !! !Bruce is in Town!! !